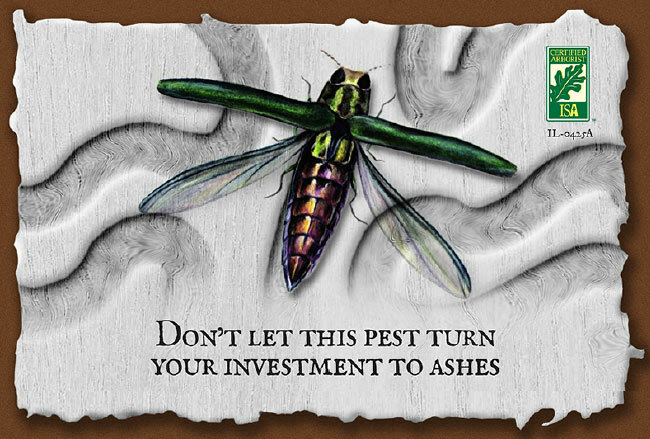 The Emerald Ash Borer is an invasive species threatening your ash trees. It's responsible for the death of over 20 million trees and is now infesting Dubuque and the tri-state region. Luckily, protective measures can be taken to ensure your trees' survival. Preserve your valuable landscape investment by calling Mississippi Valley Tree Experts, Inc. today. has provided high-quality tree care services in the tri-state area since 1991. Led by a seasoned arborist, our staff specializes in the diagnosis and treatment of insect and disease problems. Our Goal: To provide the highest level of professional plant health care to our community. ©2015 Mississippi Valley Tree Experts, Inc. All Rights Reserved.